Anyone that has knit a hat, socks, mittens or gloves knows that joining a new yarn when you're working in the round can be tricky. If you just start knitting with the new yarn, you get a hole between the first stitch of the round and the last. Some knitters choose to stitch that little hole shut with their yarn tail. I prefer to avoid the gap completely by pulling my new yarn through the stitch that is one stitch before and below where I am going to start knitting. 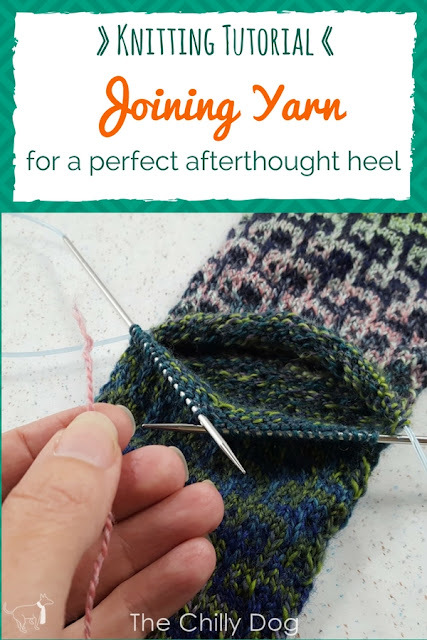 Practice joining a new yarn in the round with the "Feeling Loopy Socks" pattern available in my pattern shop. Thanks to Skacel for providing the Schoppel Zauberball Crazy Yarn and addi Turbo Rocket needles used in this tutorial. These products are available locally at many yarn shops and online at Makers' Mercantile. 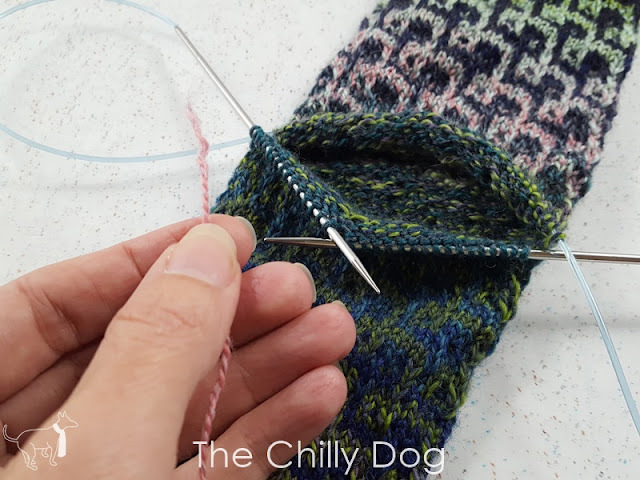 Learn how to invisibly join a new yarn when you are knitting socks, hats, mittens or gloves in the round.